Now if it is not the name of widow which distresses you, but the loss of such a husband I grant you that all the world over amongst men engaged in secular affairs there have been few like him, so affectionate, so gentle, so humble, so sincere, so understanding, so devout. And certainly if he had altogether perished, and utterly ceased to be, it would be right to be distressed, and sorrowful; but if he has only sailed into the tranquil haven, and taken his journey to Him who is really his king, one ought not to mourn but to rejoice on these accounts. For this death is not death, but only a kind of emigration and translation from the worse to the better, from earth to heaven, from men to angels, and archangels, and Him who is the Lord of angels and archangels. For here on earth whilst he was serving the emperor there were dangers to be expected and many plots arising from men who bore ill-will, for in proportion as his reputation increased did the designs also of enemies abound; but now that he has departed to the other world none of these things can be suspected. John Chrysostom, “Letter to a Young Widow,” in Saint Chrysostom: On the Priesthood, Ascetic Treatises, Select Homilies and Letters, Homilies on the Statues, ed. Philip Schaff, trans. W. R. W. Stephens, vol. 9, A Select Library of the Nicene and Post-Nicene Fathers of the Christian Church, First Series (New York: Christian Literature Company, 1889), 123. Perhaps these words can be of comfort today for those who have lost a beloved Christian spouse, family member, or friend. 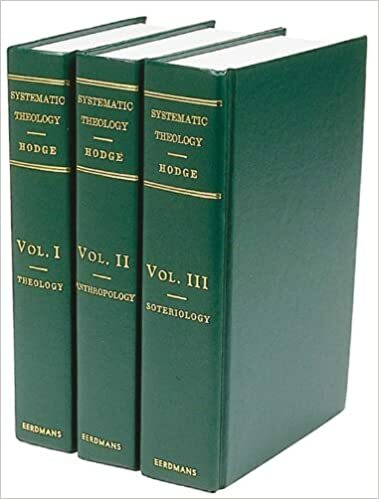 Arminianism represents God’s Spirit, as if he acted like the guard of a stage-coach, who sees the passengers safe out of town for a few miles; and then, making his bow, turns back, and leaves them to pursue the rest of the journey by themselves. But divine grace does not thus deal by God’s travellers. It accompanies them to their journey’s end, and without fail. So that the meanest pilgrim to Zion may shout, with David, in full certainty of faith, “Surely, goodness and mercy shall follow me all my days, and I shall dwell in the house of the Lord for ever”. Therefore, for preserving grace, “Not unto us, O Lord, not unto us, but to thy name give the glory,” for thy loving mercy, and for thy truth’s sake. After God has led his people through the wilderness of life, and brought them to the edge of that river which lies between them and the heavenly Canaan, will he suspend his care of them, in that time of deepest need? No, blessed be his name! On the contrary, he always – safely, and, generally, comfortably – escorts them over to the other side; to that good land which is very far off, to that goodly mountain, and Lebanon. Augustus M. Toplady, The Works of Augustus M. Toplady, vol. 3 (London: Richard Baynes, 1825), 186. Think, brethren, and reflect what good things God giveth unto sinners: and learn hence what He keepeth for His own servants. To sinners who blaspheme Him every day He giveth the sky and the earth, He giveth springs, fruits, health, children, wealth, abundance: all these good things none giveth but God. The above quote is found in Augustine of Hippo, vol. 8, A Select Library of the Nicene and Post-Nicene Fathers of the Christian Church, First Series (New York: Christian Literature Company, 1888), 412. Some Christians suffer more than others. God, in his mysterious sovereignty, has given some of his children a more difficult lot and heavier load than others. Depression, chronic illness, handicaps, intense family conflict, mental illness, and other trials are the hard lot of some Christians. Abraham Kuyper reminds us that St. Paul had a very difficult lot as well. The apostle called it a “thorn in the flesh” (2 Cor 12:7). Kuyper says it was a trial that felt “as though a demon assaulted [Paul] and beat him with fists.” The thorn was given to Paul so that he might stay humble and also experience the sweetness of God’s grace. Kuyper notes that Christians who suffer should remember from Paul’s experience that God’s fatherly plan for us in suffering is a gracious one. This way we won’t despair when our prayers for relief are not answered in the affirmative. Often what happens at this point is that the sufferer looks around at others who are happy and healthy. Then who can stop this “sad complaint” from arising: “O, My God, why am I not as they?” On top of this Satan comes and tempts the sufferer to grumble: “If you are a child of God, where is your heavenly Father to help you?” Satan mocks: “Where is your God?” The suffering continues, and some believers at this point seriously backslide in the faith. If you are suffering, I pray God gives you the eyes of faith to see that his grace is sufficient for you in your weakness even right now. As Paul said in his trial, “When I am weak, then I am strong” (2 Cor. 12:10). Suffering is so hard; it is a heavy, heavy burden. But God’s grace lightens the load, shines light on the path, and makes it possibly for us to joyfully make it through suffering. And remember, your trial will not last. When Jesus returns, he’ll renew your body and you will no longer have any pain, sorrow, trials, or tears (Phil. 3:21; Rev. 21:4). 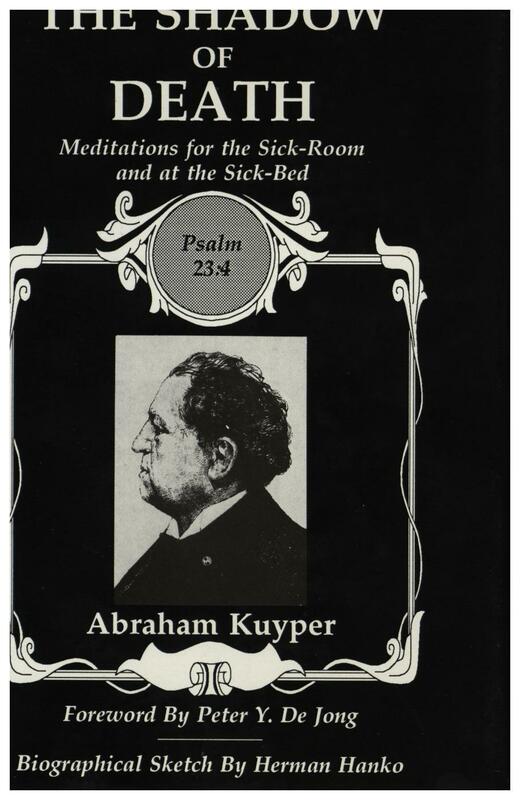 The above quotes and thoughts are found in Abraham Kuyper’s 23rd meditation of In the Shadow of Death (Eerdmans: Grand Rapids, 1929). while there, faith being changed into sight, place will be given for sight alone. there fruition will satisfy us. there we will behold God face to face without a veil or means and intimately enjoy him. there, however, is the place of joys and exultation because, being delivered from all evils, there will be nothing which can bring weariness or grief to us, nothing, on the other hand, which will not contribute to our solid and constant gladness. but there in the absence of all evil and the presence of all good, there will be nothing anymore for us to fear, overcome or desire. There will be no need to weary God with prayers, the witnesses of our need, but praises giving glory to him for his manifold wisdom, invincible power, perfect justice, inexhaustible goodness and unspeakable mercy, and other wonderful attributes in which the works of nature and grace, in the world and in the church, in creation and in redemption, in the gathering, protecting, sanctifying and full glorification of his church he has exercised and will forever exercise. 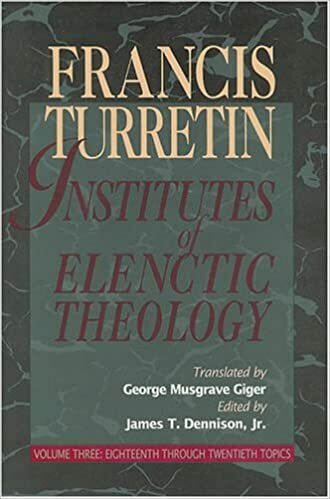 Francis Turretin, Institutes, vol. 3, p. 634.